Mobile devices, smartphones and tablets, have changed our lives. As a result you need to plan your 2015 mobile marketing NOW!!! Skip the kisses, I’ve got to check my smartphone according to Touluna (August 2014). 64% check their phones within 15 minutes of going to bed. 68% of millennials consider their smartphone to be a personal device. Here are 55 US mobile facts to help your 2015 mobile marketing plans so you won’t miss a large portion of your audience, regardless of whether your business is B2B or B2C. In the US, marketers must support Android and Apple platforms or miss a significant portion of the market. 52.3% US smartphone subscribers are Android. 41.9% US smartphone subscribers are Apple. 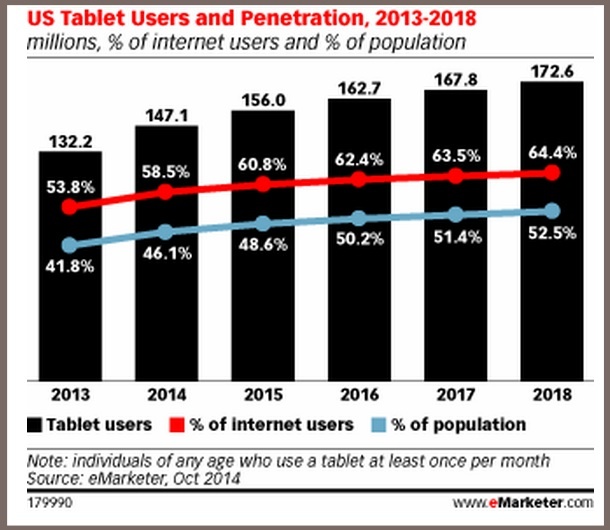 147.1 million US mobile users will use a tablet at least monthly according to eMarketer estimates. Further, there’s a significant amount of tablet sharing. Tablets make good babysitters. 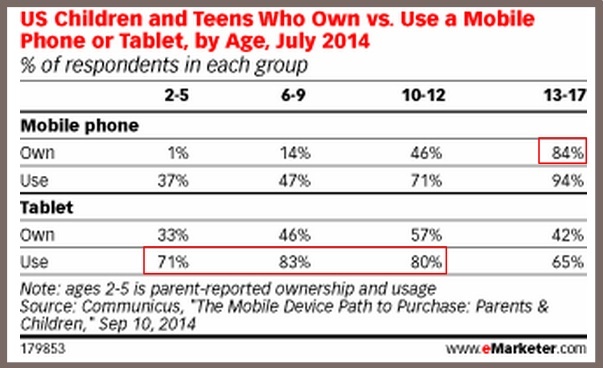 Kids are the peak users of tablets while teens own and use smartphones. 84% of 13-17 year olds own a mobile phone. 83% of 6-9 year olds use a tablet. 129.9 million US consumers will use a mobile phone to search the Internet at least once per month in 2014 as forecast by eMarketer. Further, the mobile search population is nearly 16% larger than the mobile Facebook population. 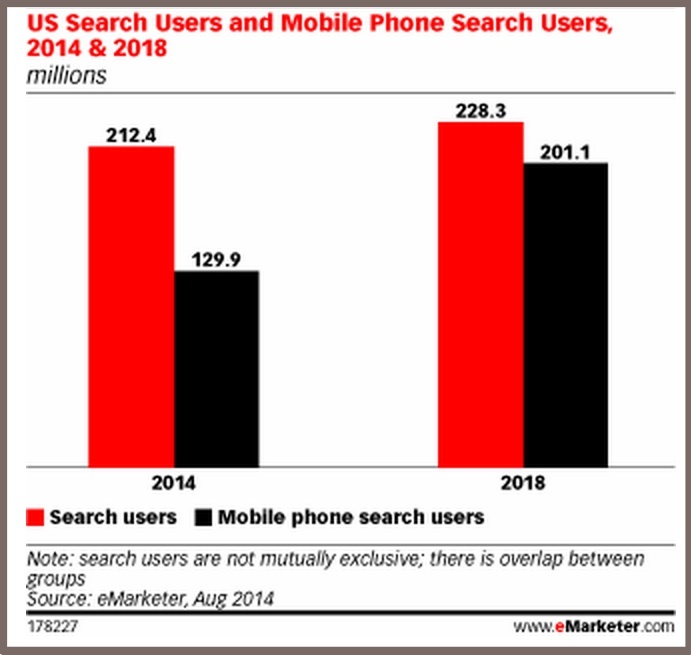 2015 will be a tipping point for mobile search as projected by eMarketer (December 2014). 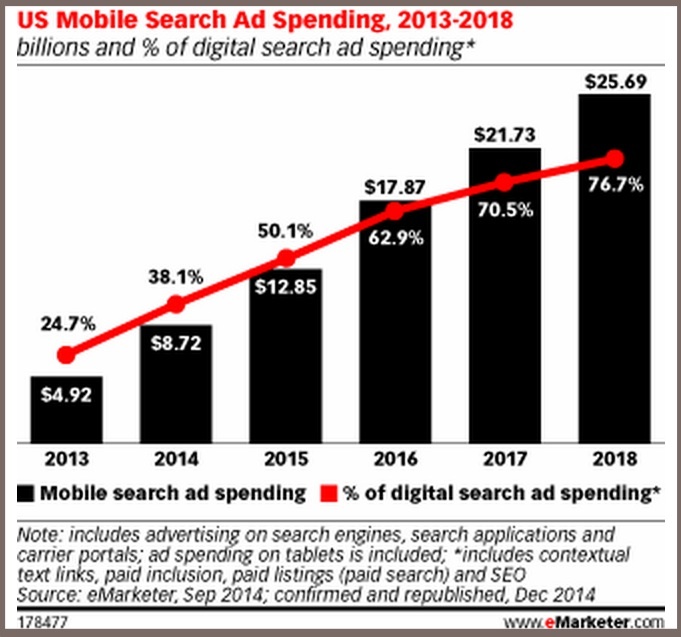 Mobile search ads will be $12.85 billion in 2015, over 50% of the search market. 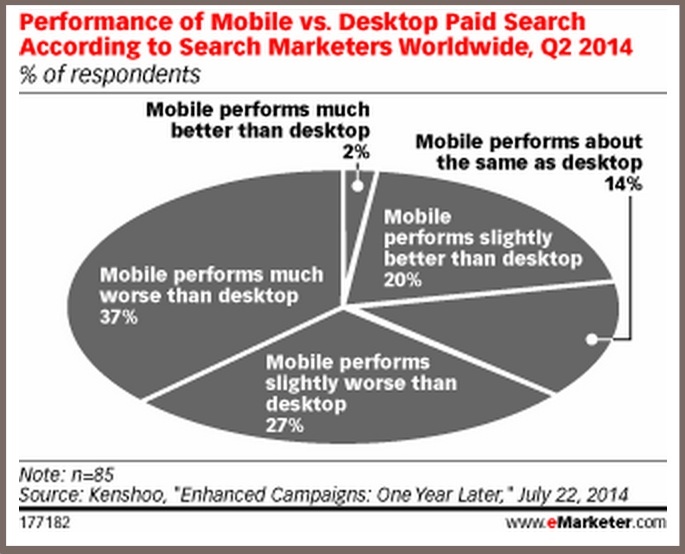 Unfortunately for marketers, mobile search is harder to track to ROI according to research of search marketers by Kenshoo. With increased use of smartphones and tablets, net US mobile advertising is projected to increase to $28.48 billion in 2015, according to eMarketer. While the top players have increased ad dollars, they’ve got a lower percentage of the share showing a diversification of the marketplace. Google dominates with 35.17% of net US mobile ad revenue share. 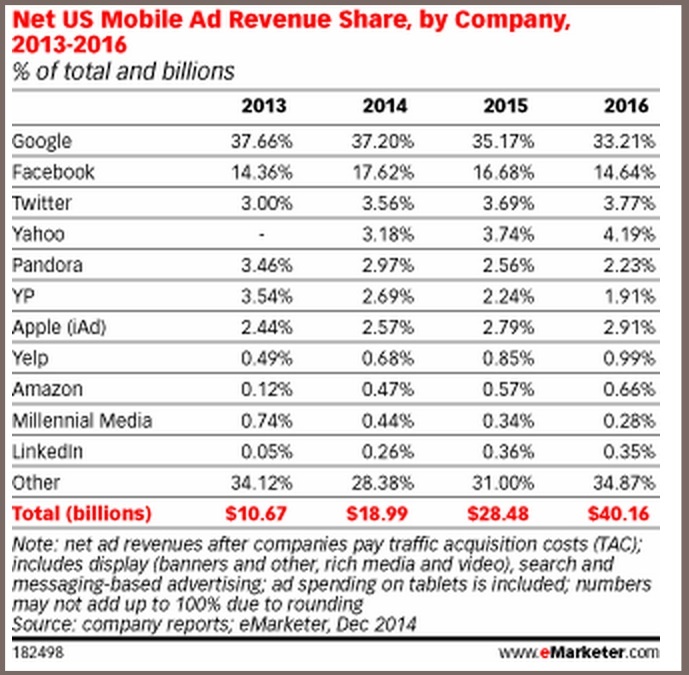 Facebook is second with 16.68% of net US mobile ad revenue share. It’s noteworthy that Amazon has 0.57% marketshare. Expect this number to increase since it has one of the top downloaded apps and provides customer reviews. In 2015, mobile advertising is generally increasing at the expense of older advertising options. 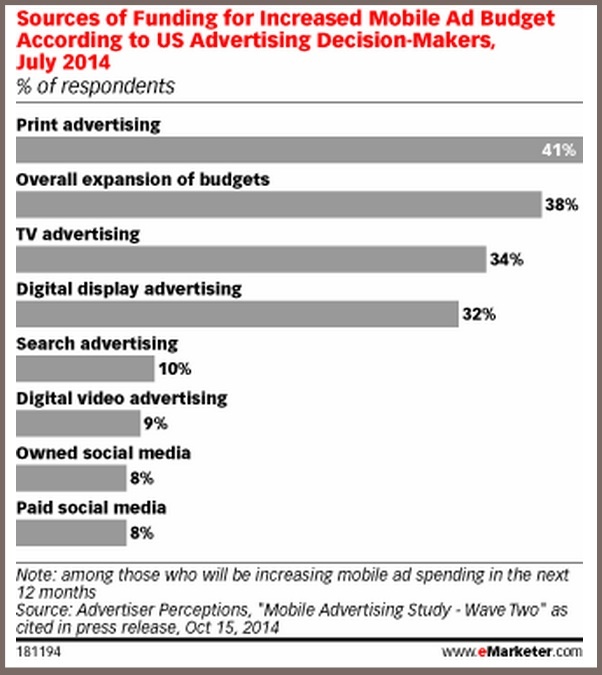 41% of increased mobile advertising budget will come from print advertising. 34% of increased mobile advertising budget will come from TV advertising. 32% of increased mobile advertising budget will come from digital display advertising. Adults redeeming coupons via a mobile device for online or offline shopping will increase from 78.69 million to 104.11 million between 2014 and 2016 according to eMarketer. 53.0% of the tablet consumer base will use a tablet for coupon redemption often from home. 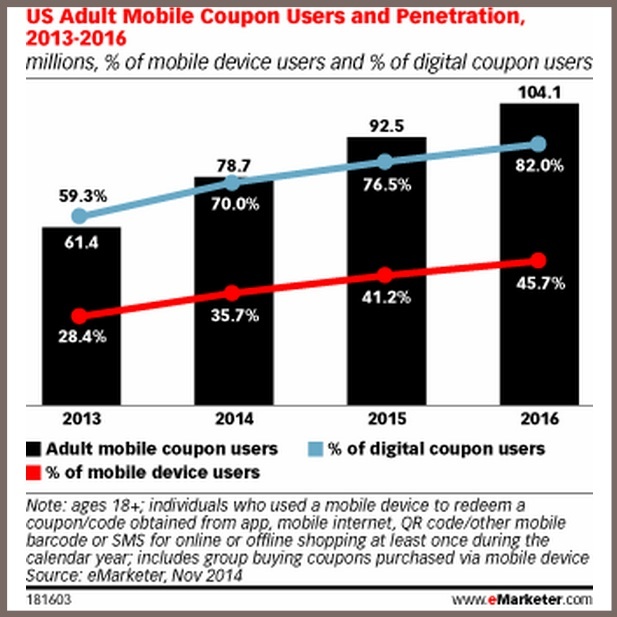 40.0% of the US smartphone audience will use a smartphone for coupon redemption often made at retail. Assess the ROI of each advertising platform. 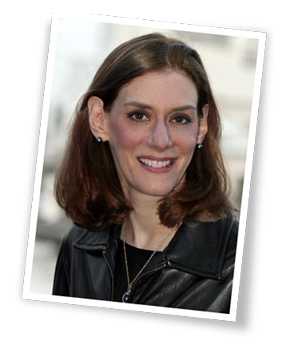 Don’t assume that your ad budget should remain the same for 2015!!! US adults over 18 spent an average of 43 hours and 31 minutes per month connecting with mobile content via an app or web browser during 2Q2014 according to Nielsen. That’s almost a 10 hour per month increase from 2Q2013. The average smartphone downloader has about 42 apps on their device. 87% of smartphone downloaders use less than 10 apps on a daily basis. Specifically, 32% of smartphone downloaders use less than 5-9 apps on a daily basis and 55% of smartphone downloaders use between 1-4 apps on a daily basis. The average tablet downloader has 35 apps on their device. 89% of tablet downloaders use less than 10 apps on a daily basis. 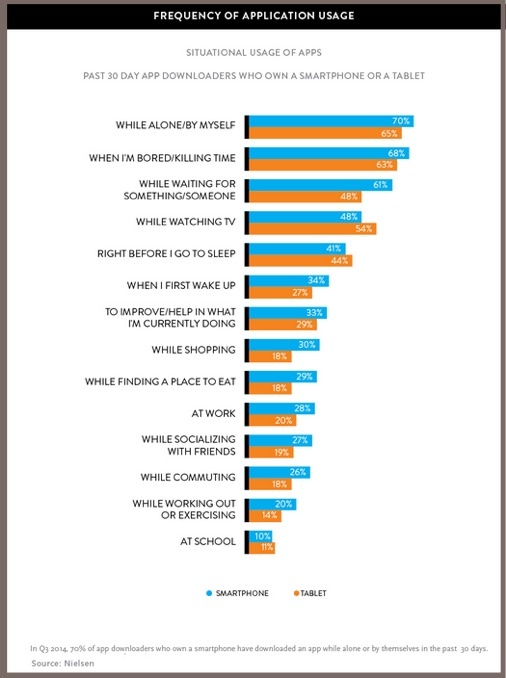 Based on Nielsen’s findings, apps tend to be a time filler activity. They’re most frequently used to entertain. 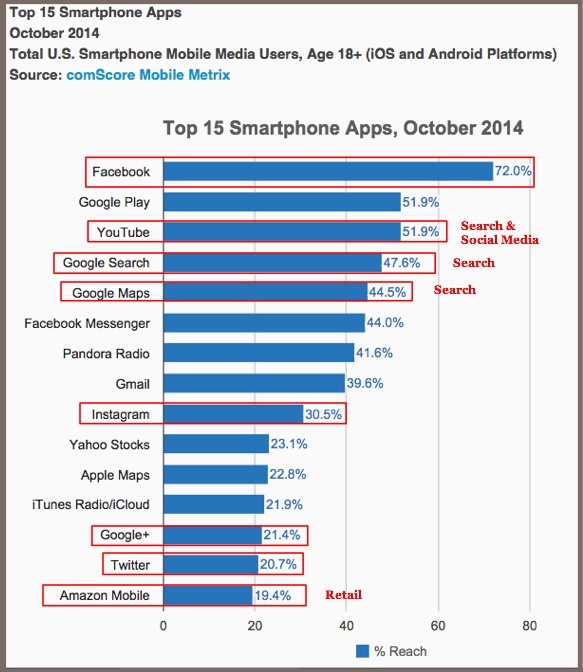 When it comes to mobile apps, only a handful of companies matter based on October 2014 comScore tracking. Facebook dominates mobile apps with 72% share. Amazon is the only retailer in the Top 15 smartphone apps (other than Google and Apple) with 19.4% share. Think beyond the app when considering your search and advertising. 10% to 33% of mobile users search apps first or only according to eMarketer. Leverage the power of the mobile megastars. Have a visible presence on these sites to get noticed by your mobile audience. This means Facebook Mobile as well as YouTube, Google Mobile search and Google Maps. 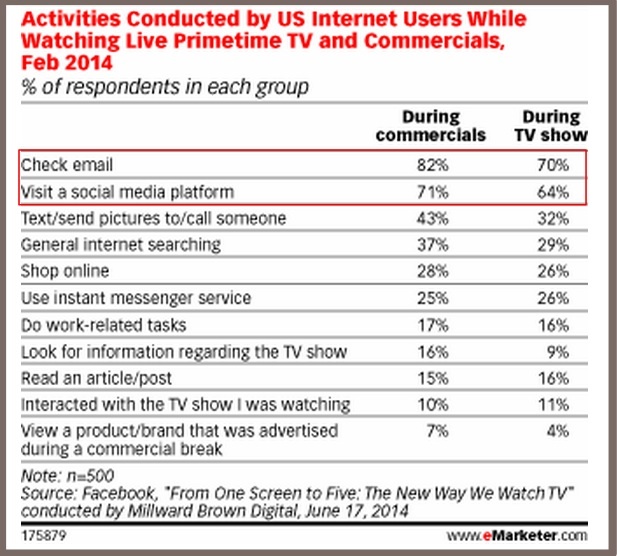 Television is no longer a focused content activity. While this isn’t news, the proportion of people who do so and what they do is. 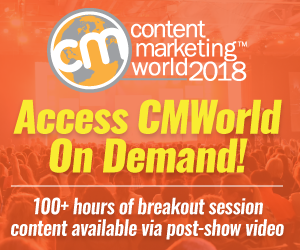 According to a study from Facebook study conducted by Millward Brown Digital (February 2014), 78% of US Internet users accessed second screens during shows and 71% did so during ads. The biggest second screen activities by far are checking email and social media, time filler, content snacking activities that often require little thought. Further, less than one in eight checked for television or ad related information!!! 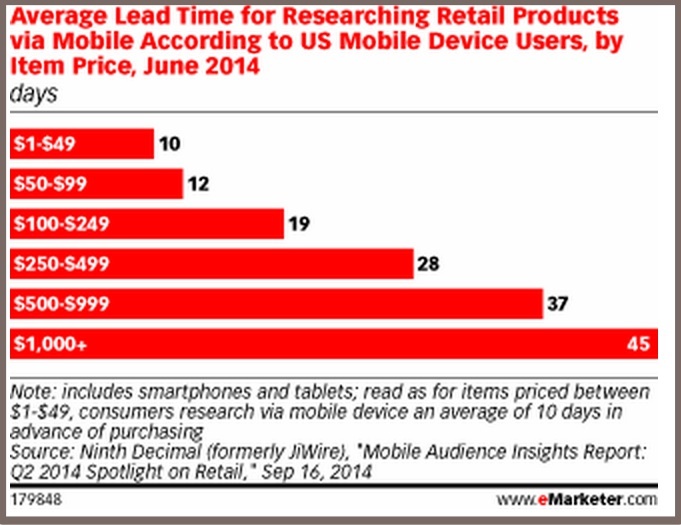 Customers use their smartphones and tablets to research purchases, both at home and at work. They also use their devices in-store where appropriate. 145.9 million US mobile shoppers in 2014 of which almost 70% will make a mobile purchase projected eMarketer. 81% of US mobile owners used their device(s) to research retail items before going to a retail location and 19% of US mobile owners used their device while at retail according to Ninth Decimal (June 2014). Pre-purchase research time depends on the amount spent. The higher the purchase price, the more time spent researching. Purchases over $1,000 take about 45 days to research. Customers are consistent: They want to SAVE! 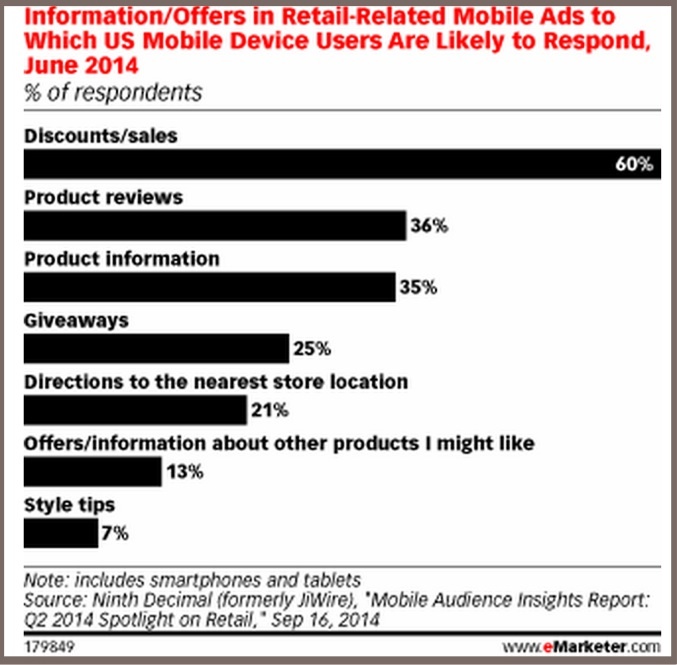 60% of customers seek discounts and sales via mobile ads. 36% of customers seek product reviews via mobile ads. 35% of customers seek product information via mobile ads. 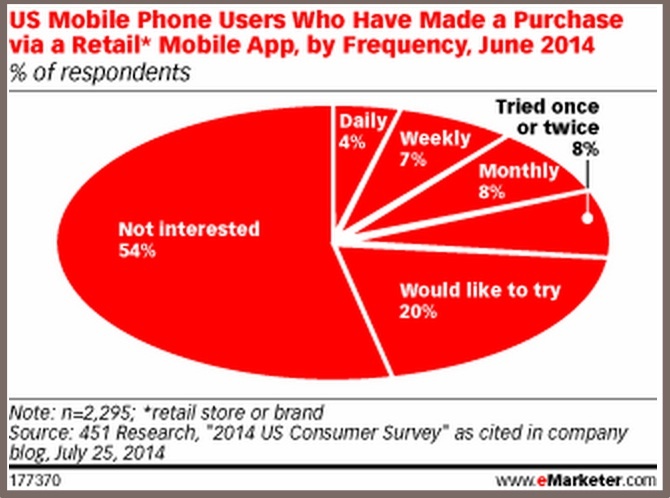 27% of US smartphone owners purchased via a retail mobile app according to 451 Research (July 2014). 54% of US smartphone owners were NOT interested in buying via a retail mobile app! While this number may seem high, it doesn’t offer reasons, most notably that the customer may be in your store. Showrooming, buying a product via a smartphone after seeing it in a store, dropped to 28% in 2014 according to GfK’s 2014 FutureBuy global study of shopping habits. By contrast, webrooming, buying a product in a store after researching it on a smartphone, was 41% in 2014. Ensure your products and business are visible on mobile devices. Don’t assume that your target audience only uses a desktop, especially since pre-purchase research is easy to do in short bursts of time. Think content snacking! Make an offer to customers via mobile ads. Get them when they’re ready to buy. 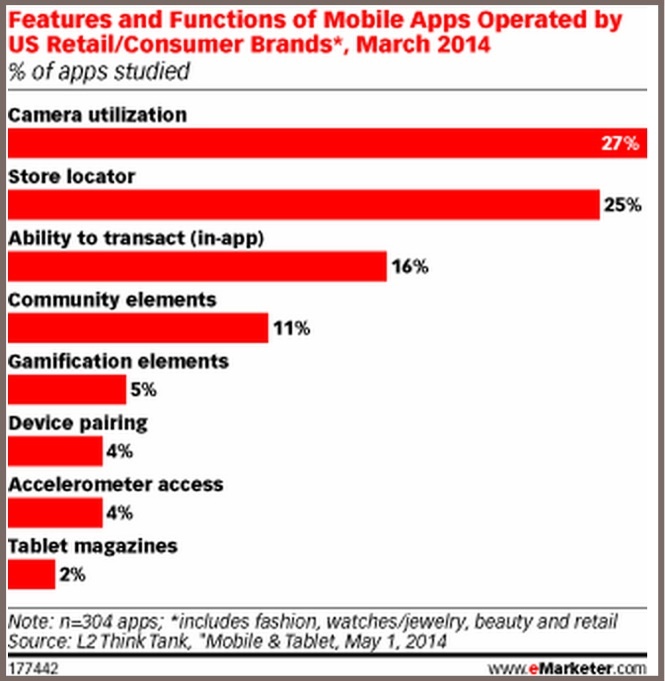 75% of retail and consumer brand apps DON’T provide store locators according to L2 Think Thank . (March 2014) YIKES!!! Encourage prospects to download your mobile app. Use all of your owned media to achieve this goal. You must show that your app provides value. Make it easy to find your store on your mobile app. Include a store locator with address, phone number and email address for each location. Update your app’s information on a regular basis. Where appropriate provide location specific support and offers. Many retailers consider in-store mobile use to be for showrooming only. Yet part of the problem is retailers according to IpsosMedia/Sterling Brand research for Google. 66% of customers don’t find the information they need in-store and 43% leave frustrated. 71% of in-store shoppers who use smartphones for online research say their device aids their in-store experience. 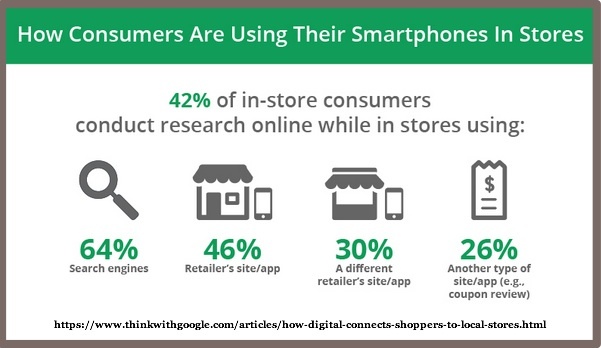 42% of in-store customers use their smartphones to do research while in-store according to Google. To ensure reaching them, you must be present on search, your own mobile app and review sites. Mobile, both smartphone and tablets, can improve or augment the customer’s shopping experience according to e-tailing group research (April 2014). For marketers and retailers, this means focus on how you can help your customer and save her time! 60% use tablets to enhance the customer experience. 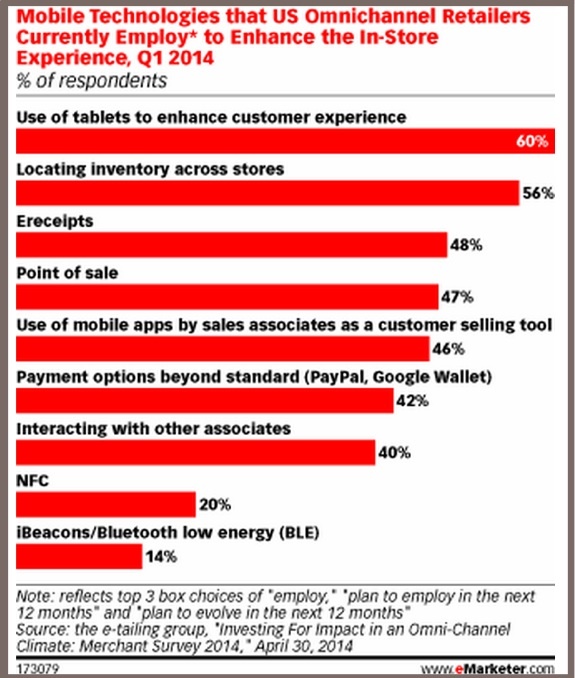 56% use mobile technologies to locate inventory across locations. 42-48% improve check out in the form of ereceipts, point of sale and payment options. Offer additional information via mobile. Your customers are using their smartphones and tablets while in your retail establishment. Make sure they can find you!!! Speed up checkout with mobile. At a minimum, have a mobile option ready if your payment gateway isn’t working. My hairdresser uses her tablet for appointments and checkout. She confided that it was cheaper than other options. The bottom line: The state of mobile continues to change in 2015. To ensure that your marketing is on target, you must incorporate mobile into your strategy by understanding how your target audience and competitors are using it. 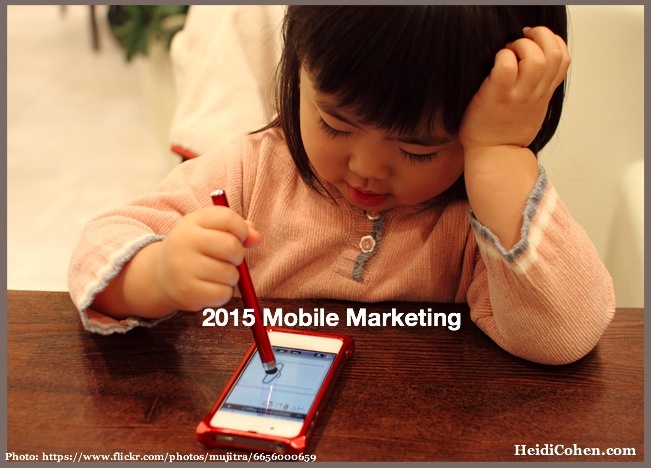 What are you doing to improve your mobile strategy and why? Tags 2014, 2015, Chart, Mobile, smartphone, Tablet. Bookmark the permalink.